sailboat. : Pinterest UK Pin It Forward! To celebrate the official launch of Pinterest UK I'm really excited to be involved with their Pin It Forward Campaign today. Thanks so much for asking me to be involved & allowing me to help out! Pinterest, if you're not familiar with it, is basically a digital scrapbook, a place for you to pin and keep track of all of the things you find on the Internet that inspires you, makes you smile or you that want to remember. It's the perfect website to procrastinate on, I know I can spend hours pinning and organising my boards when I really should be doing something else, like writing an essay for example. I know we've all been there! The guys over at Pinterest asked me to choose my favourite board to talk about in my post today and I had to pick my Summer Love board because I'm currently dreaming of sunshine and trips to the seaside. Pinterest is full of dreamy images and it's super lovely to be able to pop on and have a look around for 10 minutes and leave the site feeling a million time more motivated and inspired that you were before. I also like that its personal yet social, you can follow and interact with fellow pinners and generally share your likes, loves and inspiration. If you're already on pinterest be sure to leave a link in the comments below & if you'd like to sign up and follow me you can do so here! In true Pin It Forward spirit I'm super excited to be passing over to Jill from Street Style London so be sure to check out her chosen board tomorrow! Are you a Pinterest user? If not, be sure to sign up - it's a lot of fun & I'd love to see you over there! I used pinterest about a year before blogging! I love it & I've made a special blogging one to now! Love this post! I am likewise looking forward to the upcoming summer months. Jennie!! You're so sweet for pinning me forward already - and thank you, Tina, and the Pinterest team, for doing this great idea, because now I've discovered your blog - and you're up on my little blog roll, too. We also love sailing and to think you live in a cottage in the countryside.. I'll definitely be back. Now I just have to wrap my head round how to follow the directions and pin MINE forward! Following you! Your boards are all so pretty. I'm really loving Pinterest at the moment, it's so addictive! 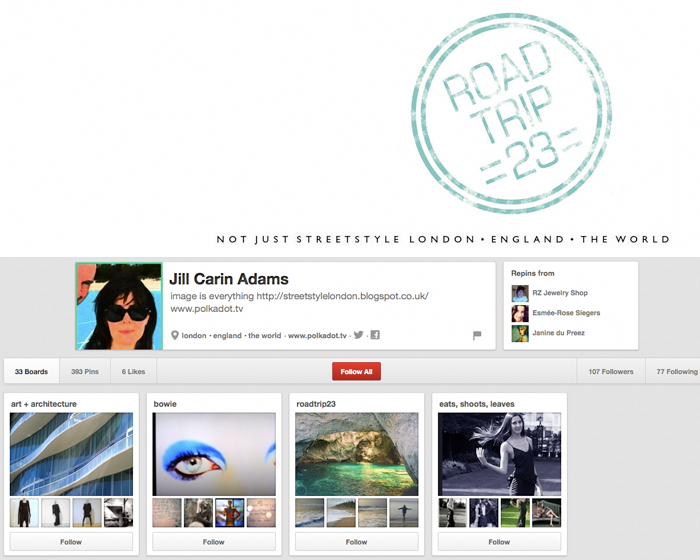 I love Pinterest - I am popping over to follow you right now.